Schedule your Genesis service today! Genesis creates some of the finest automobiles for luxury car enthusiasts. The brand emphasizes intelligent safety technology and exceptional comfort, offering refined performance for a satisfying traveling experience. As a Genesis owner, it pays to have an experienced team at your side to help you maintain its top-tier quality. We are set apart from competitors in the local automotive repair market because of our dedication to honesty and professionalism. Your car is a machine, and machines break down over time. Preventative maintenance helps prolong the life of your vehicle and prevents accidents, keeping it in great shape and saving you money in the process. Our ASE-certified technicians provide outstanding services and ensure a best-in-class experience when you take your Genesis in for a full range of auto maintenance services. Your heating and cooling system is vital to ensuring the comfort of your passengers. When your HVAC system breaks down, it could damage your car’s refrigerant. And this could harm your car’s compressor and evaporator, as well. Hollenshade’s Auto Service conducts Genesis HVAC repairs in Towson, MD. Stay comfortable on the road regardless of your driving environment. Are you noticing strange vibrations or rattling noises while driving your Genesis? Maintain your car’s performance and schedule a drivetrain diagnosis with us. Our technicians have the tools, knowledge, and skills to inspect and correct your car’s drivetrain issues so you can get back to the road with smooth driving power. We do CV axles and joint repair, driveshaft repairs, differential services, and more. The suspension and steering system of your Genesis serves two main purposes: ensuring smooth maneuverability and minimizing bumps, vibration, and noise. Problems with either system could seriously compromise road handling and holding. Schedule suspension and steering inspection in Towson, Maryland today. We conduct the needed repairs to keep your tires in contact with the road. Hollenshade’s Auto Service is committed to customer satisfaction. 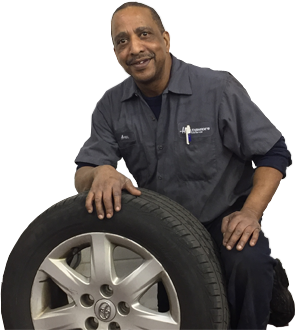 Our auto repair and maintenance company have been serving drivers in Towson, Maryland since 1939.